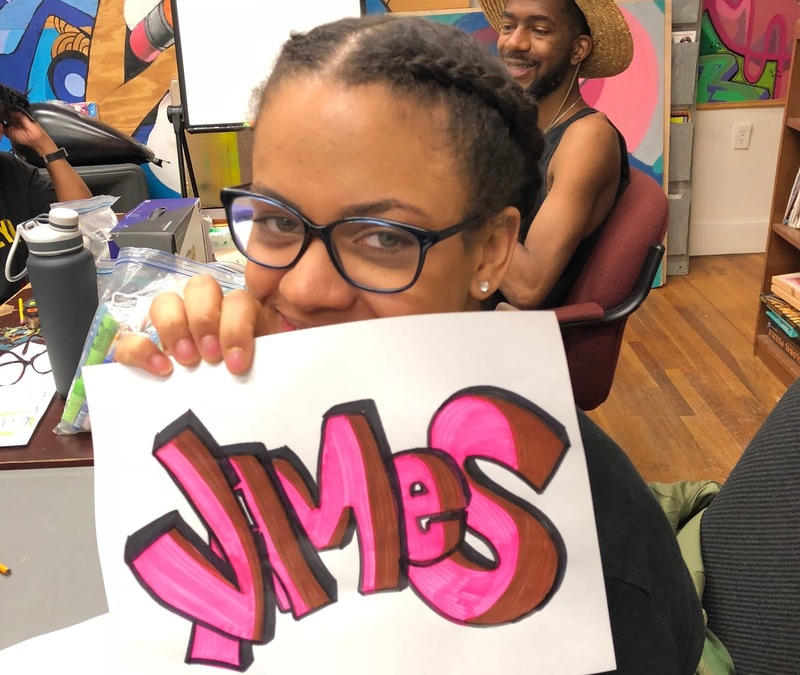 Students participating in the graffiti 101 workshop will learn the various aspects, skills, styles, and background knowledge involved in the public art form of graffiti as an element of hip hop. Students will learn the basic history of public name writing and early forms of graffiti, and be challenged to think critically about the ethics, aesthetics, and legality surrounding the craft. Students will be provided instruction as well as the open space to practice and develop artistically on their own and in groups using a variety of mediums ranging from pencil and markers to paint pens and spray-paint.